Hi everyone, yesterday I found a new equestrian brand that was founded in 2015. I'm talking about Mr. Castle, a Spanish brand that doesn't have a single product on their website that I don't like. I mean, everything is just so simple yet so girly and classy but sophisticated - I am sure they will have a lot of success. 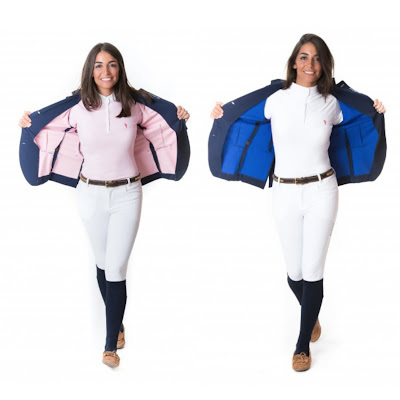 The navy and baby pink show jacket is absolutely gorgeous, I was looking for a new one and I guess I have found it! Another thing that I find lovely are the breeches, they only have three colors available but they look really comfortable and I also think the colors are cute.